The Guinobatan Rural High School was established in 1912 and held its first classes on June 3, 1912 . 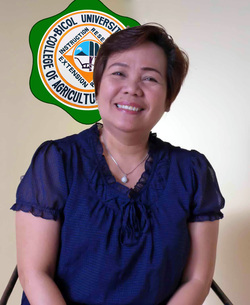 It was renamed as Guinobatan Rural High School in 1927; Roxas Memorial Agricultural School in 1950; Bicol University College of Agriculture (BUCA) in 1969 through RA 5521 and now known as Bicol University College of Agriculture and Forestry (BUCAF) because of the offering of Bachelor of Science in Forestry which started in 1991. This 2012, the Guinobatan Rural High School will be 100 years old . Activities listed for the Centennial celebration include: (1) Grand Alumni Homecoming on December 22, 2012; (2) Conference regarding climate-smart initiatives and innovations for the uplands; (3) publication of the coffee table book re: BUCAF history and accomplishments; and (4) publication of the BUCAF Techno Series Bulletin. BUCAF formally started its Centennial countdown last December 6, 2012 marked by the launching of the Center for Climate –Smart Initiatives and Innovations for the Uplands (CSI Uplands)and also the launch of the National Greening Program in collaboration with the Department of Environment and Natural Resources (DENR) highlighted by tree planting opposite the Centennial Building. Launching the CSI Uplands at the start of the Centennial countdown emphasizes BUCAF’saccomplishments through the years and its future direction which will focuson upland resource management and adaptation to the climate change. In its 100 years, BUCAF will highlight its accomplishments in agriculture, forestry and natural resources management (AFNR) particularly on upland resource conservation. BUCAF is bent tocontinue its initiatives and contribute significantly in preventing soil erosion, landslides and flooding in the lowland areas. Aside from disaster-risk reduction in response to calamities, upland communities will also be assisted to enhance their capability for doing alternative livelihood to augment their income.